Do you suffer from damaged or discoloured teeth? If the answer is yes, then there’s no need to put up with them, because we have a range of options to suit your particular needs. One of these options is crowns. 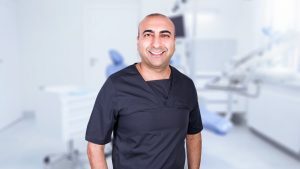 Here at Unique Smiles, our crowns start from as little as £308 for patients signed up to Denplan. A crown is basically a prosthetic tooth that fits on top of a real tooth. 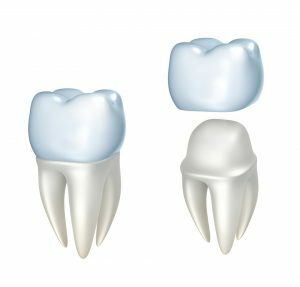 When cemented in place, the crown fully covers the tooth, thereby protecting it from decay. Dental Crowns fit over your existing teeth. What are the benefits of a crown? Dental crowns are made to blend in with the rest of your smile. They look like real teeth – they have a natural colour and shape. They can help to eradicate tooth pain. They can prevent the need for a tooth extraction. They strengthen and protect the remaining tooth material. They are made from materials like porcelain, ceramic, and metal, which means they last a long time and are unlikely to break. What’s the procedure for fitting a crown? The procedure for fitting a crown involves at least two appointments. On the first visit, the dentist will prepare your tooth for the crown and then make an impression of the tooth. After this initial visit, you’ll wear a temporary crown for a few weeks while your permanent crown is made. When the permanent crown is ready, you’ll visit your dentist again and he or she will fit the permanent crown into place. 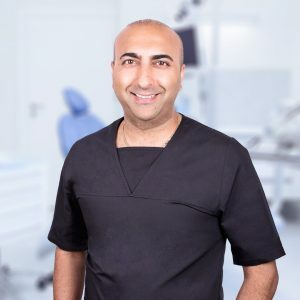 Dr Nathwani is our principal dentist and has placed 100’s of crowns during his career. The life expectancy of a crown is about five to ten years. Some crowns can last much longer than this, especially if you look after them well and visit a dentist often. Taking care of a crown isn’t difficult – just look after it the same way you take care for your teeth. Brush twice a day, floss once a day, and visit a dentist every six months. Crowns are immune to plaque and decay, but decay can start at the gum line, where the crown meets the tooth. Therefore, it’s important to keep this particular area clean. Are there alternative to crowns? Fillings. White Fillings are a good option when your teeth only have small cavities. 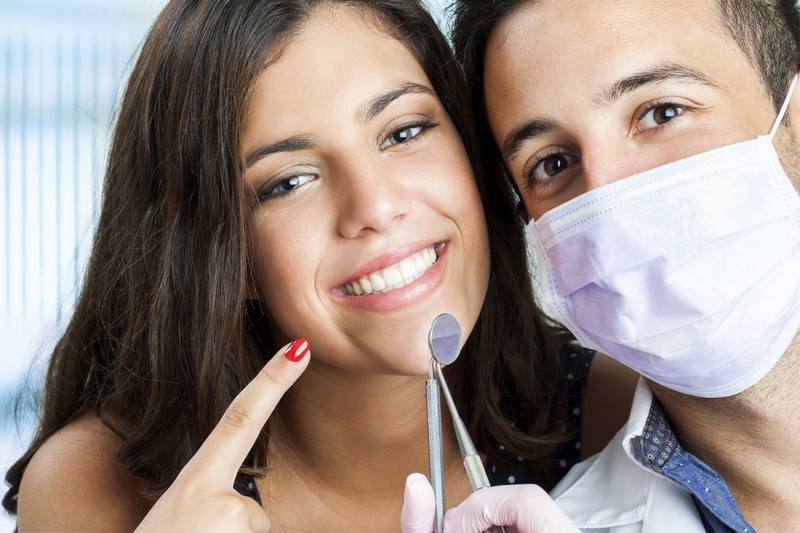 Fillings only require one dentist appointment and they are significantly cheaper than crowns. Onlays. An onlay is like a large filling that’s made to fit over your tooth. If you have a cavity that’s too big for a filling but you also don’t want a crown, then an onlay could provide the best of both worlds. The advantage of onlays is that only the decayed parts of your tooth will be removed. in contrasts, crowns require the removal of lot of healthy tooth. Veneers. 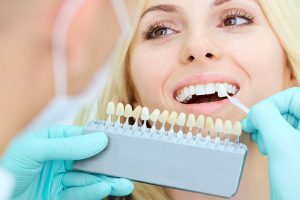 If your teeth are healthy and you’re only concerned about their appearance, then veneers could be a good option. A Dental Veneers is a thin piece of enamel that fits over the front of a tooth. Veneers can make your teeth look brand new. Just ask a Hollywood celebrity: many of them use veneers to get their dazzling smiles. 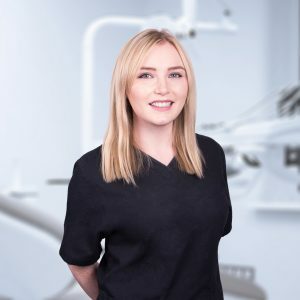 If you’d like to know more about crowns, then don’t hesitate to make an appointment with one of our friendly dentists. We will be happy to discuss our options with you. 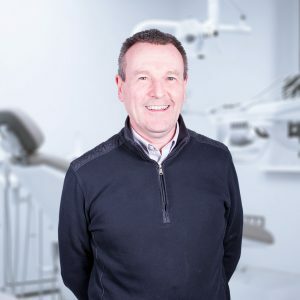 Find our more about our dental treatment prices at Unique Smiles or book an appointment with our team today.